Brad McKenzie is feeling at ease across the half-back line, set to line up for his 12th game of the year. 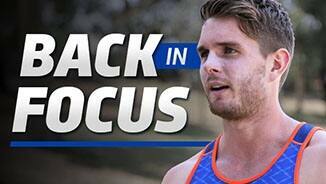 Brad McKenzie has praised his teammates for helping him make a solid return to the AFL. A member of the 2011 South Australian Under 18’s, Brad McKenzie’s disposal skills shot him to prominence in his draft year. 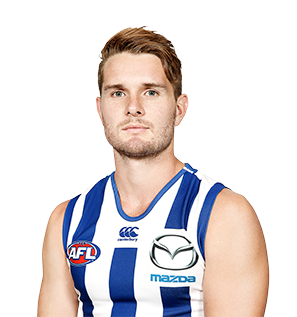 The left footer was considered to have ‘elite agility’ when tested at the 2011 Draft Combine and spent most of his time in the midfield for Sturt. McKenzie was North Melbourne’s first selection at the 2011 National Draft, picked at #18. “Looking at Baz and his season, it was certainly a big step forward for him. “He ended up playing 14 games this year and made some big improvements in his defensive work. “He bought into playing in a team defence and playing as part of a back six. In previous years he’s been off a wing and midfield so it was a little bit foreign to him to start off with. “Hopefully he can go away and have a break knowing he can play at this level, and then next year we can see more improvement from him. “He’s playing midfield with a little bit of wing. He’s playing consistent footy with a concentration and focus on his inside work. He’s really improved in both of those areas. “By his own admission he struggled for the first few rounds. “After sitting down and working everything out he knuckled down and played some really good footy in the back end of the year. “From halfway on the majority was on the wing and his work rate went to another level. 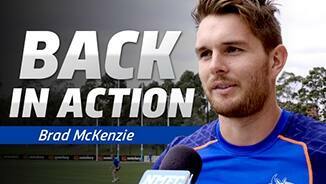 After playing the last 10 games of 2013, McKenzie was a fixture in the senior side for the first seven matches of 2014, and looked to be cementing a spot for the long-term. Spending time on a wing, he was able to hit the scoreboard while also using his elite skills to good use around the ground. He notched a career-high 25 disposals in the Round 3 victory over Port Adelaide, but was omitted after the Round 7 loss to Gold Coast. McKenzie only played three more senior games for the rest of the year in Rounds 14, 15 and 17, spending the majority of his time at North Ballarat in the VFL. The left-footer spent more time in the middle of the ground for the Roosters, getting on the inside and winning more clearances. 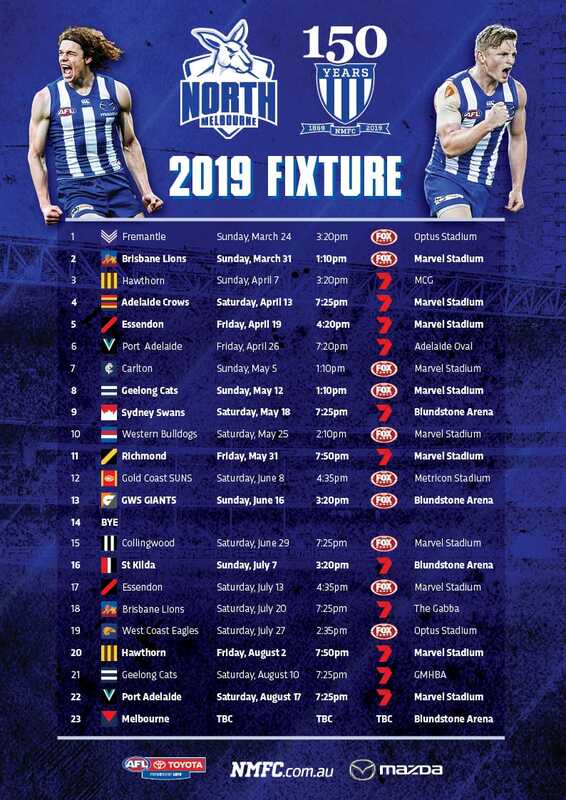 It added another dimension to McKenzie’s game and should have the South Australian in good shape for 2015 after a full pre-season. “He’s really improving. We’ve been happy with how much he’s come on. The biggest thing for Brad is just getting some consistency into his game. 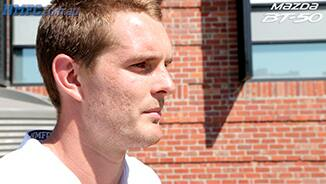 “He’s had some really good games at VFL level this year and started to push up for senior selection. But then he’ll have a quieter game. “He’s been using the ball really well and the next step is developing a change of pace. When he gets possession he can break the lines a little bit more with a change of pace." McKenzie was substitute six times in his 10 appearances. His kicking was a feature and North had a big focus on getting the ball into his hands whenever possible on the outside. 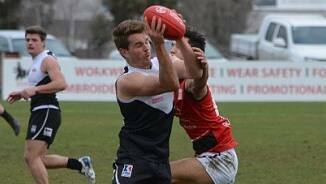 With a light build, McKenzie started out the year in the VFL playing for North Ballarat. 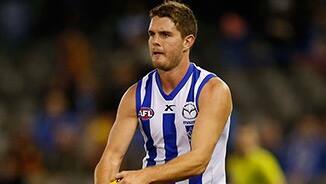 Promising form earned him a debut in Round 7 against the Western Bulldogs. While he was the substitute, he showed a glimpse of his future with a pinpoint pass to Drew Petrie, setting up a goal. After a second substitute appearance and a further taste of AFL action, McKenzie spent the rest of the season playing for the Roosters. When Jack Ziebell was suspended and headed over to Utah, McKenzie joined him with a view to fast tracking his physical development.